Micro-needling is a therapeutic mechanical device that can be rolled over the individual’s scalp. It looks and functions similar to a rotary toothbrush. Tiny needles penetrate the top layers of the scalp causing micro trauma which stimulates a repair response that encourages hair growth mechanisms in the desired hair follicles. 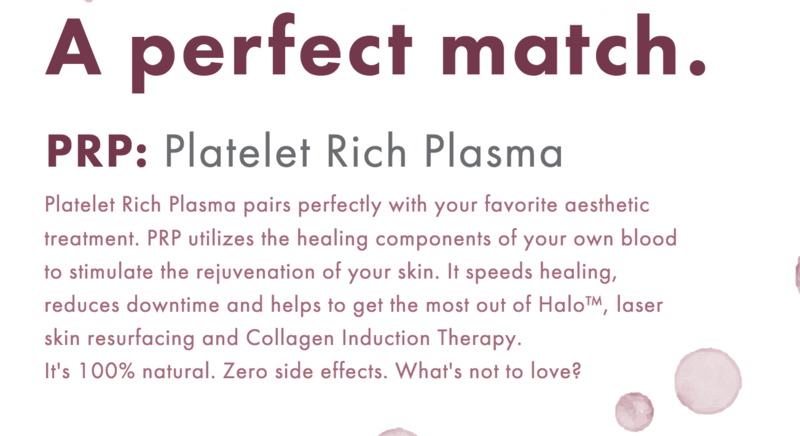 Platelet Rich Plasma(PRP) is an all-natural autologous plasma - your own platelets are centrifuged from blood that is drawn shortly before your procedure. Platelets are known for their importance in clotting blood; however in recent research and studies, many medical professionals have been using them to treat acute and chronic injuries due to the highly concentrated growth factors that are present. Although it is not clear exactly how PRP works, laboratory studies show that the growth factors can help accelerate the healing process and regeneration. Currently, larger clinical studies are pending specifically for the use of PRP with hair restoration but the current medical literature contains optimistic results. While performing your research, you will stumble on many case reports reflecting success with PRP. Clients will have a topical numbing cream applied to the desired area for approximately 45 minutes to an hour prior to the procedure. While the area is numbing, your blood will be drawn and the PRP will be processed. Before the procedure begins, the area is cleansed and the numbing cream is removed. Your provider will perform the micro-needling portion of the procedure first to help create small tiny channels that stimulate a repair response as well as provide a passage for any leftover PRP. After the micro-needling portion of the procedure is complete, the provider will then inject the PRP into the scalp in a grid like fashion. Afterwards, your hair is cleansed and you can drive home without any assistance since no sedation or medication is given during the procedure. Post-treatment restrictions are minimal and are limited to at-home care. We recommend that you start with a series of 3 treatments spaced out approximately 12-16 weeks apart. PRP should not beconsidered a “cure." After your treatment, you may need to continue maintenance therapies quarterly or bi-annually. PRP should also not be considered a guarantee as it is based on individual effectiveness. 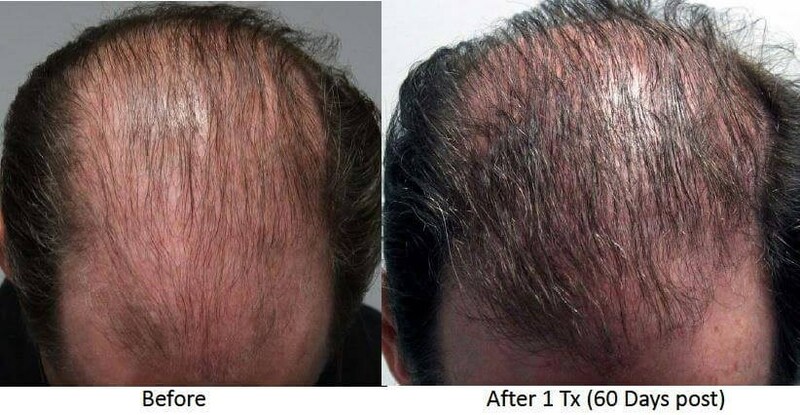 Both men and women who are concerned with loss or thinning hair and who want to consider an alternative treatment that is aggressive but non-surgical. With PRP, there is little to no down-time. Can I Continue to use Other Medical Therapies With PRP? Absolutely! We also recommend continuing FDA approved products such as Minoxidil and DHT blockers as previously. Think of it as cross fit training and you are using multiple modalities to get the desired results. If you have any questions or concerns, we would love to set you up for a complimentary consultation with one of the Artisans on our team. We look forward to working with you.